Unbelievably cute handmade muslin cloths in a 3 pack crafted from safe & secure eco-friendly bamboo & cotton fabrics. Muslins are every Mother's secret weapon! Simplify daily prenting duties with a handful of our cute and marshmallow-like soft creations. Each of our muslin cloths arrive in our signature boxes which are oh-so-cute and perfect for gifting for a mummy-to-be, a new mummy or as a little treat for mumm herself. 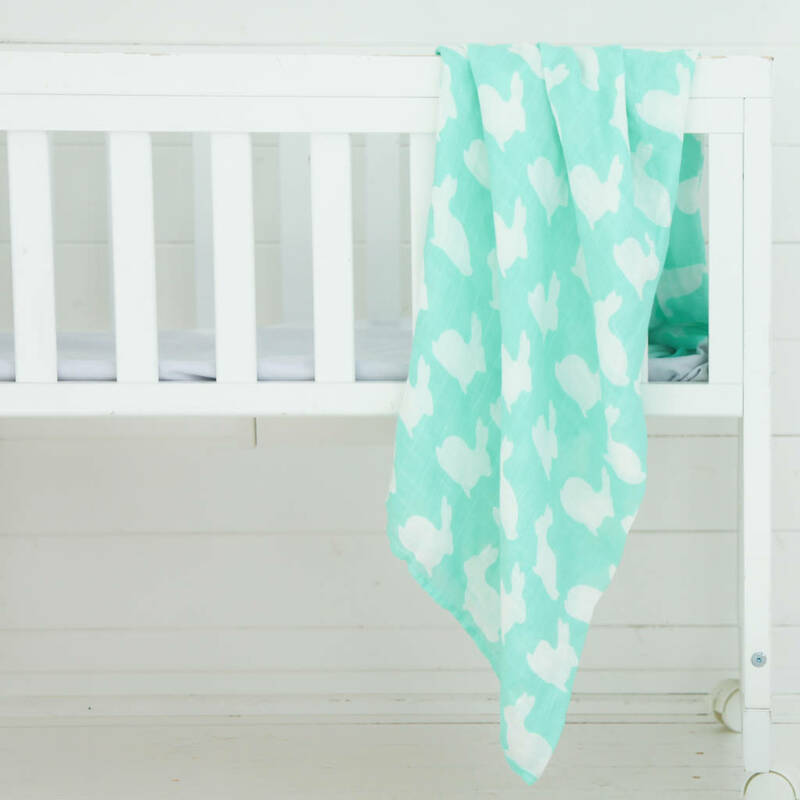 Perfectly-practical, Bullabaloo muslins are made from bamboo which is fast superseding traditional cotton as favourable to use on your bubbas. 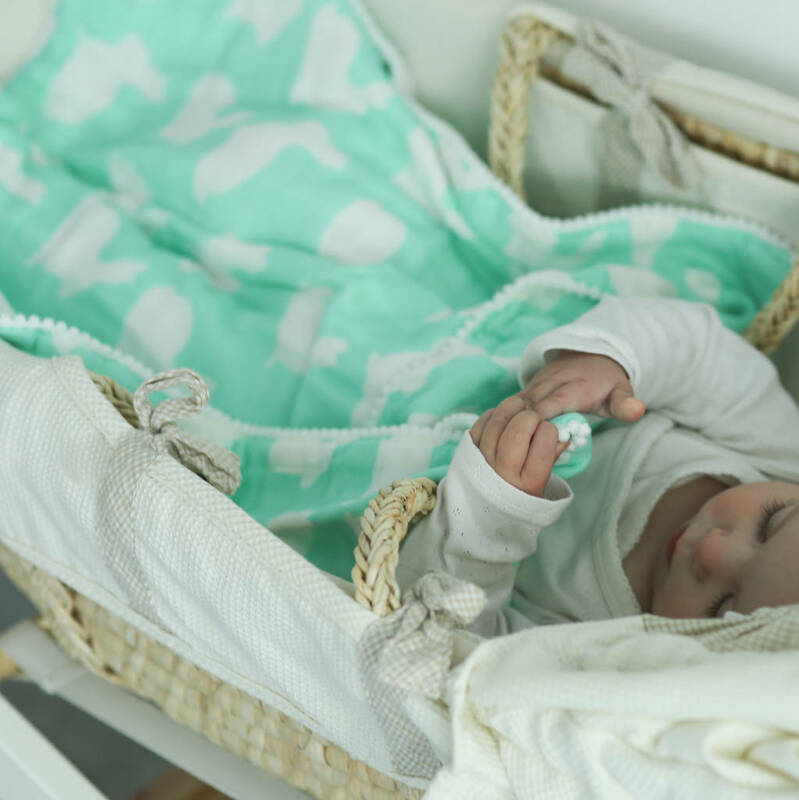 Uses include: wiping away spillages, tummy-time blanket, nursing cover, sun shade, pram blanket, burping, make-shift bib, comforter and much more. 70% Bamboo 30% Cotton. Wash before first use. Wash with like colours at 30°. Do not use bleach or iron. 60x60cm A perfect size for any handbag or changing bag when on the go. This product is dispatched to you by Bullabaloo.